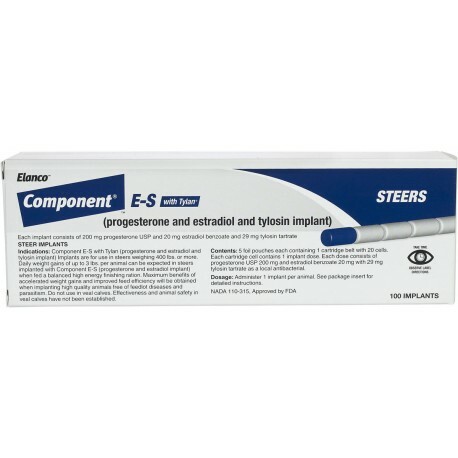 Vet Life - This controlled release implant provides a daily dose of estradiol for 200 days. Increases rate of weight gain in suckling and pastured growing steers; for improved feed efficiency and increased rate of weight gain in confined steers and heifers. Implant guns must be purchased separately! 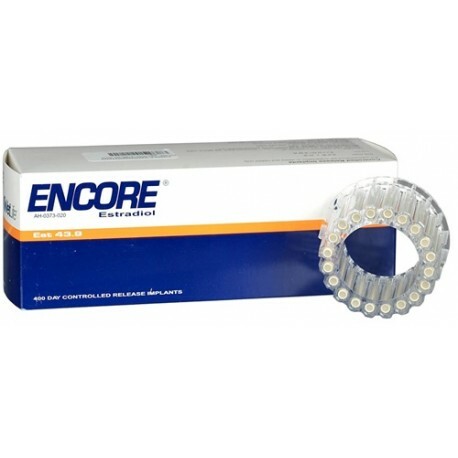 A cattle Implant recommended for increased weight gain in steers and heifers fed in confinement for slaughter. Each dose contains 100 mg trenbolone acetate and 14 mg estradiol. 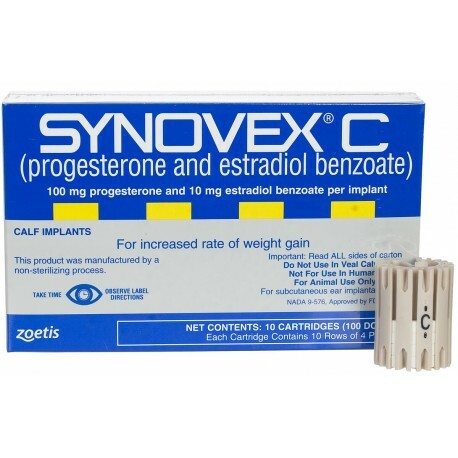 It provides a 10:1 ratio of trenbolone acetate to estradiol benzoate. Implant gun must be purchased separately! Approx 120 day implant. 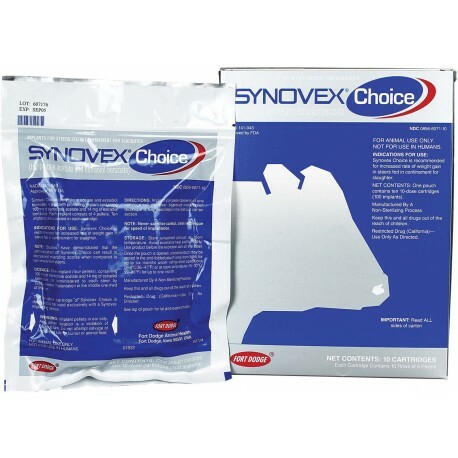 Synovex C is recommended for use in suckling beef calves, up to 400 lbs. for increased weight gain and improved feed efficiency. 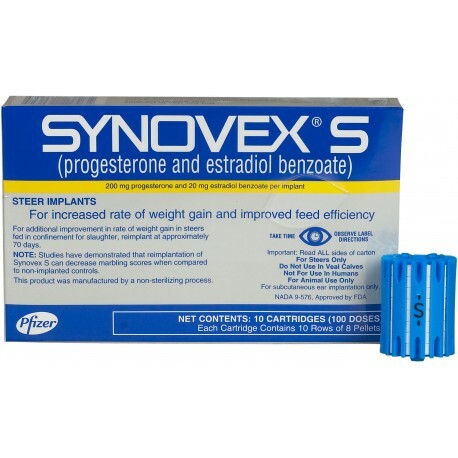 Each dose consists of 4 pellets containing 100 mg progesterone propionate and 10 mg estradiol benzaate. Approx 70 day implant. Implant gun must be purchased separately! Implant for heifers weighing 400 lbs. or more. Not for use in dairy or beef replacement heifers. 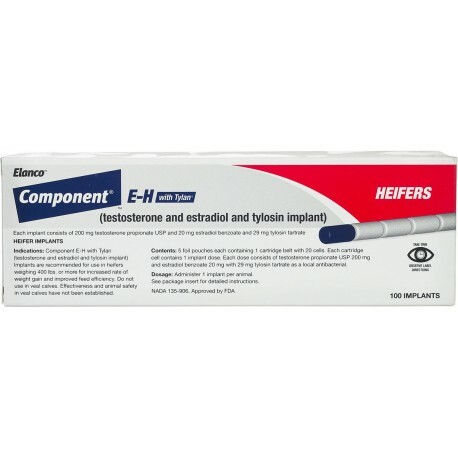 Contains 200 mg testosterone plus 20 mg estradiol. No slaughter withdrawal. Implant guns must be purchased separately! 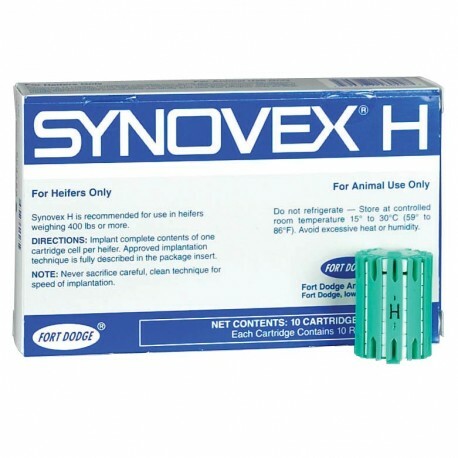 Implant for weaned pasture steers, heifers and spayed heifers. Should not be used in dairy animals or in animals intended for subsequent breeding. 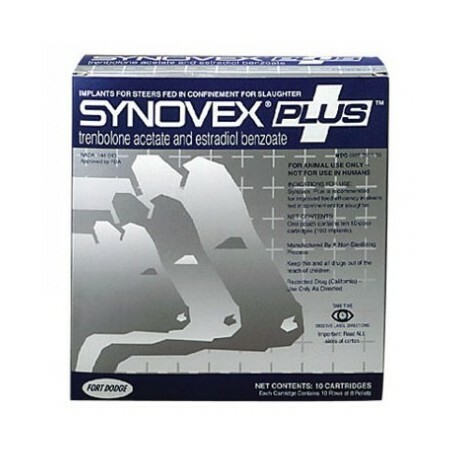 Contains 40 mg trenbolone acetate and 8 mg estradiol. No slaughter withdrawal. Implant guns must be purchased separately! 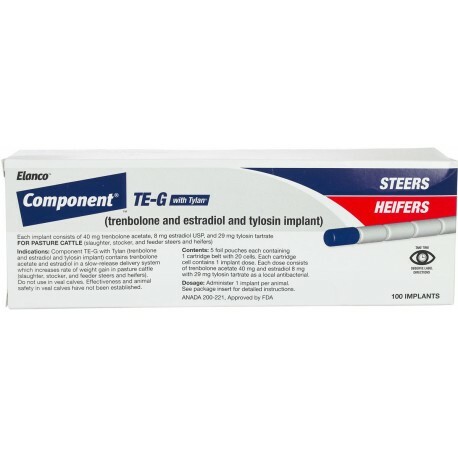 Implant for feedlot steers. 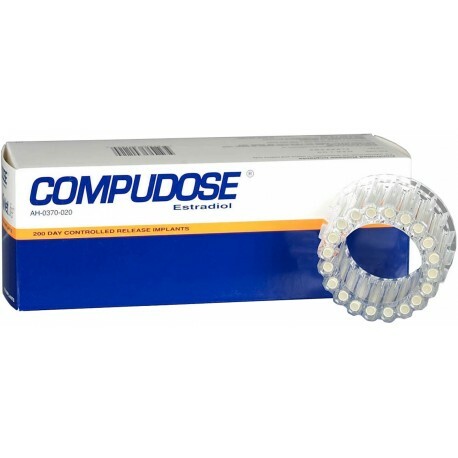 Each dose contains 120 mg trenbolone acetate and 24 mg estradiol. No slaughter withdrawal. Implant guns must be purchased separately! Implant for steers weighing 400 lbs. or more. Contains 200 mg progesterone and 20 mg estradiol. No slaughter withdrawal. Implant guns must be purchased separately! 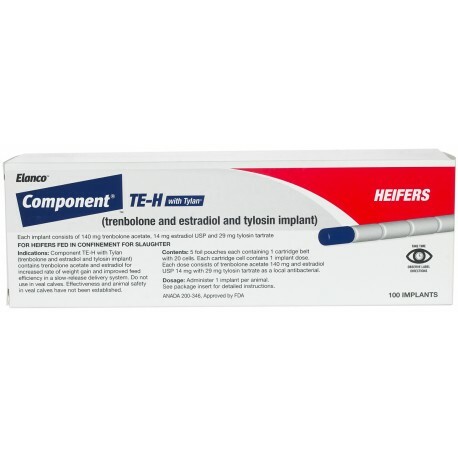 Implant for feedlot heifers in the finish phase. Each dose contains 140 mg trenbolone acetate and 14 mg estradiol. No slaughter withdrawal. Implant guns must be purchased separately!